Ok, I just finished a shave with Barbershop and all of my hesitations with Vegan soaps have been blown out of the water!! I have to admit that I was extremely impressed by SOAP but the scent did not overwhelm me and for that reason, I didn’t pay as much attention to it as I should have. This time, I had the right combination from brush, bowl, razor and pre and post shave materials! All I can say is.....WOW!! The lather that I built after a 20 second load was as good as any of the other bases that Mohammad has in the stable. It was extremely slick and had the right amount of fluff to it that is usually missing for me with Vegan soaps. The shave was amazing and the post shave feel is right there with all of the other soaps that have been released lately. I’m still in awe as I have been feeling my face every few minutes since shaving. I really don’t understand how Mohammad does it and I keep thinking things can’t continue to get better but I am shocked once again!! This Janus Vegan is up there neck and neck with Mallard for me and if you missed out on Barbershop, this is the MUST HAVE from the Janus Vegan base right now! 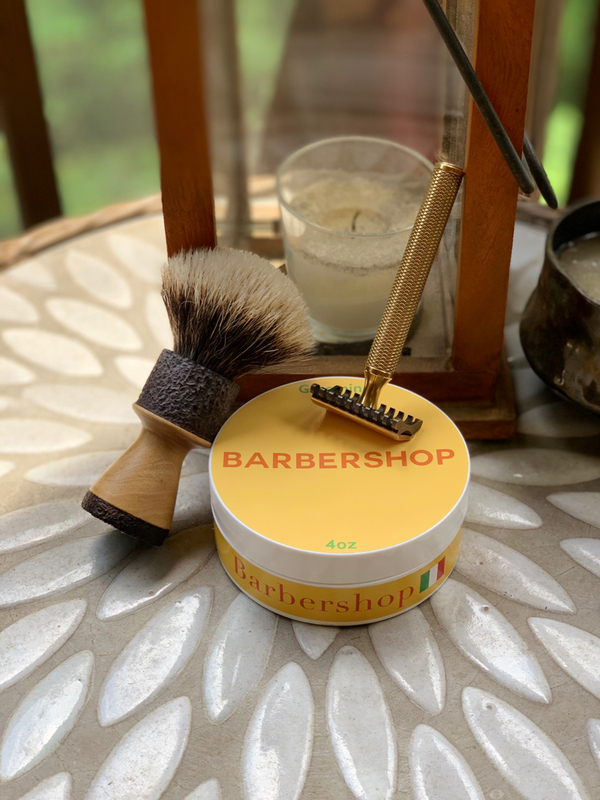 (6 hours ago)george1906 Wrote: Ok, I just finished a shave with Barbershop and all of my hesitations with Vegan soaps have been blown out of the water!! 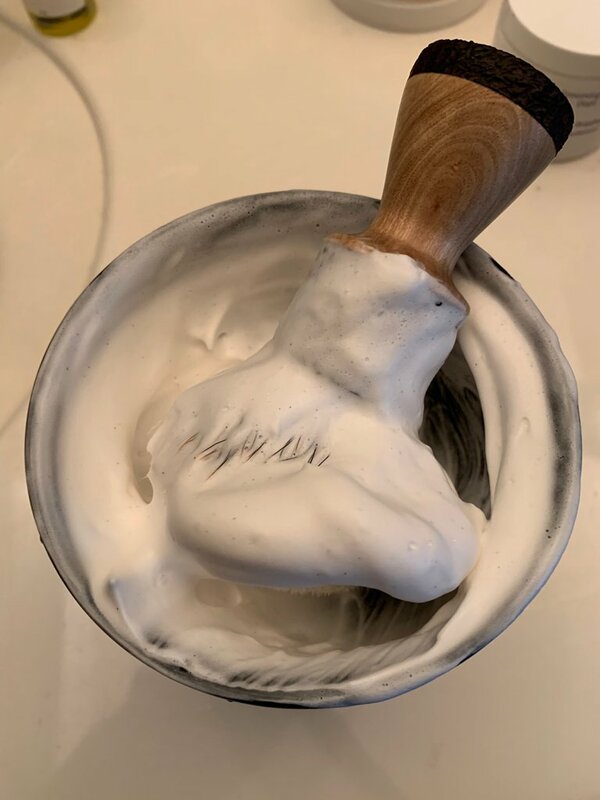 I have to admit that I was extremely impressed by SOAP but the scent did not overwhelm me and for that reason, I didn’t pay as much attention to it as I should have. This time, I had the right combination from brush, bowl, razor and pre and post shave materials! All I can say is.....WOW!! The lather that I built after a 20 second load was as good as any of the other bases that Mohammad has in the stable. It was extremely slick and had the right amount of fluff to it that is usually missing for me with Vegan soaps. The shave was amazing and the post shave feel is right there with all of the other soaps that have been released lately. I’m still in awe as I have been feeling my face every few minutes since shaving. I really don’t understand how Mohammad does it and I keep thinking things can’t continue to get better but I am shocked once again!! This Janus Vegan is up there neck and neck with Mallard for me and if you missed out on Barbershop, this is the MUST HAVE from the Janus Vegan base right now! It's definitely putting the Tallow v Vegan debate to rest. I'm eager to try that base myself but will hold off for a more appealing scent. By the way, that's a nice looking brush handle. Thanks, that was done for me by a brush maker out of Spain called El Druida that does some absolutely stunning stuff.